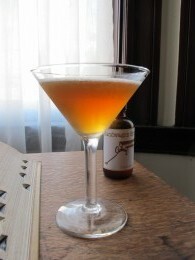 The Roubaix – a whiskey cocktail. 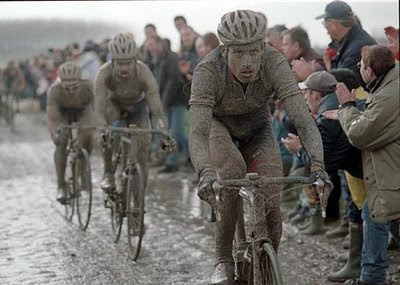 Last weekend my favorite cycling race, Paris Roubaix, was held on narrow, treacherous roads between Compiègne and Roubaix in Northern France. The race is one of the oldest on the cycling calendar, with the first edition being run in 1896, and is one of the most enigmatic, unique, and difficult. At around 260 kilometers, the “Queen of the Classics” was also dubbed “The Hell of the North” shortly after World War I because the course ran through the battlefields and ruins of the area. The signature elements of the race are the 28 cobblestone (pavé, en Français) sectors in the latter half. These are essentially long, narrow, centuries-old farm roads that are now maintained by the Les Amis de Paris-Roubaix and are open only for the race. The weather is often rainy, the course muddy, the cobblestones slippery, the crashes many, and the race truly, truly epic. It is a brutally hard race, the difficulty of sectors such as La Toruée D’Arenberg and Le Carrefour de l’Arbre give it an almost mythic status. The rider who wins Paris-Roubaix is a true hard man of the sport and guaranteed the status of legend. This year Paris-Roubaix was won in dominant fashion by the incredible Swiss talent Fabian Cancellara. Soloing away from the best riders in the world, he rode nearly 50km on his own to win for a second time. Shaken with ice, no frou-frou garnish, drink while watching others suffer on bicycles. It turned out pretty good, the bourbon comes through nicely, smoothed out and sweetened just enough by the amaretto and finishes with a faint touch of cinnamon “heat” and dryness.